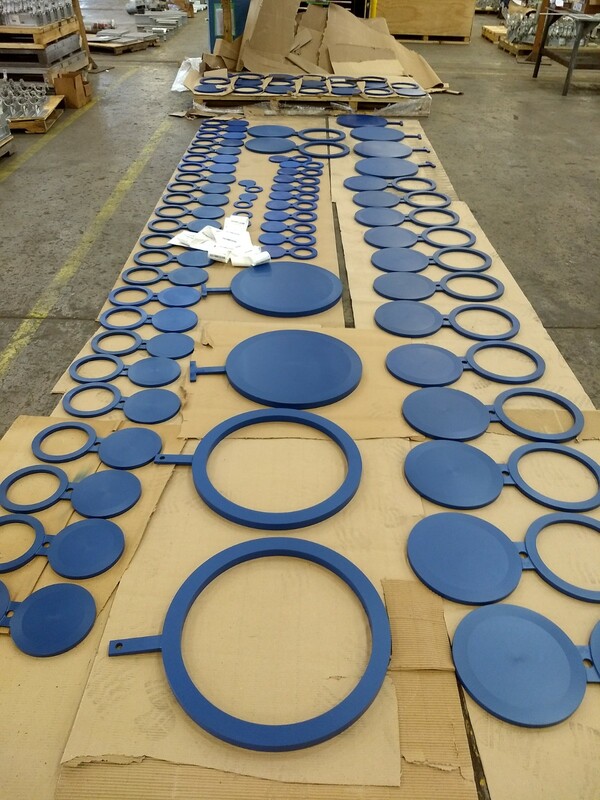 We offer a wide range of spectacle blinds, spacers and blanks manufacture to API standards and B31.3 specifications. We are capable of handling size ranges from 1″ – 150 lbs class to 36″ – 2500 lbs class.702. We also manufacture bleed rings and lateral joints also. Line Blinds come in three basic forms with different names. These names include Spectacle Blinds, Figure Eights, Paddle Blinds, Skillet Blinds, Spades, and so on. 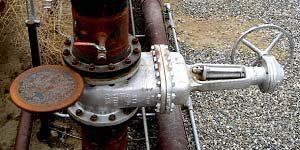 These names describe particular devices used to isolate or “turn off” portions of piping systems. Line blinds can be used together with a valve or instead of a valve. At the right, we see an installed spectacle blind in the “open” position. The line blind shown in use on the right is a spectacle blind or figure 8. In the small picture on the left you can see one of these blinds by itself. The name spectacle blind or figure 8 is due to it’s shape. The spectacle blind has both an open and a closed position. 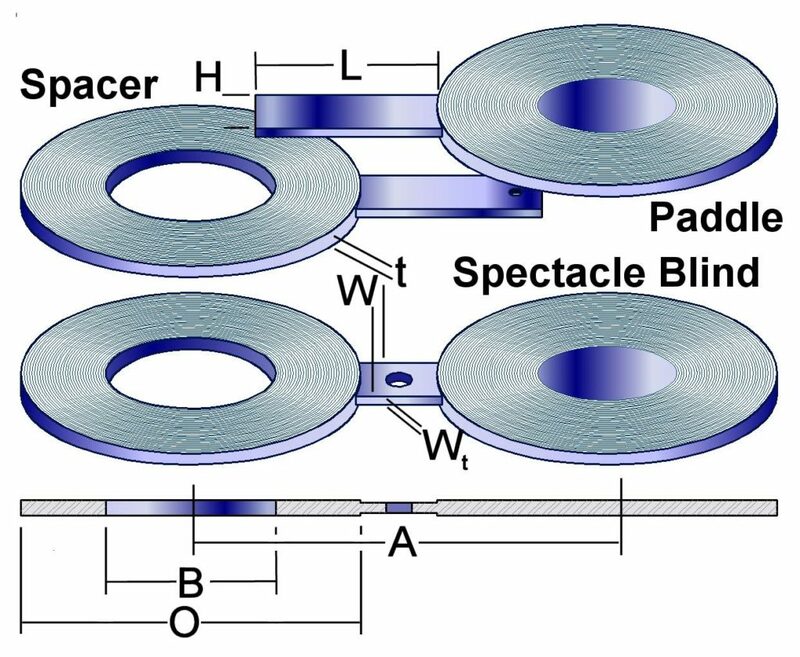 The spectacle blind is sometimes sold split into it’s two parts, the line blank, and the ring spacer. By itself, the solid side of the spectacle blind is called a line blank, skillet blind, paddle blank, paddle blind, or spade. Whether as half a spectacle blind or used by itself, the line blank forms a positive shut-off. The line is a “wafer style” device, meaning it fits inside the bolt hole circle. To the right you can see a flange spreader being used to prepare a pair of flanges to accept a line blank and two gaskets. 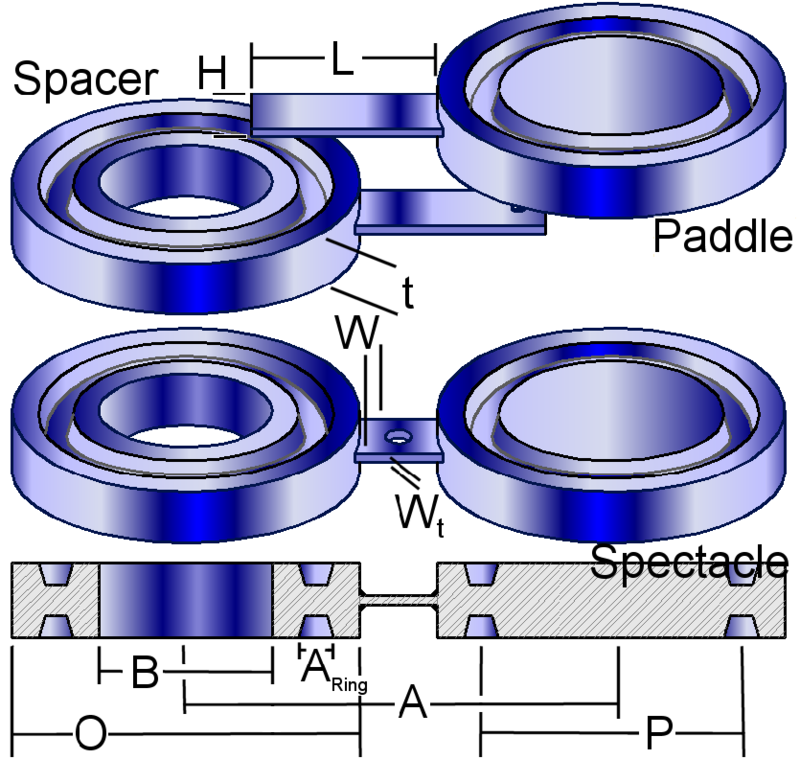 In order to maintain the spacing of the flanges when the line is open, a ring spacer is used. 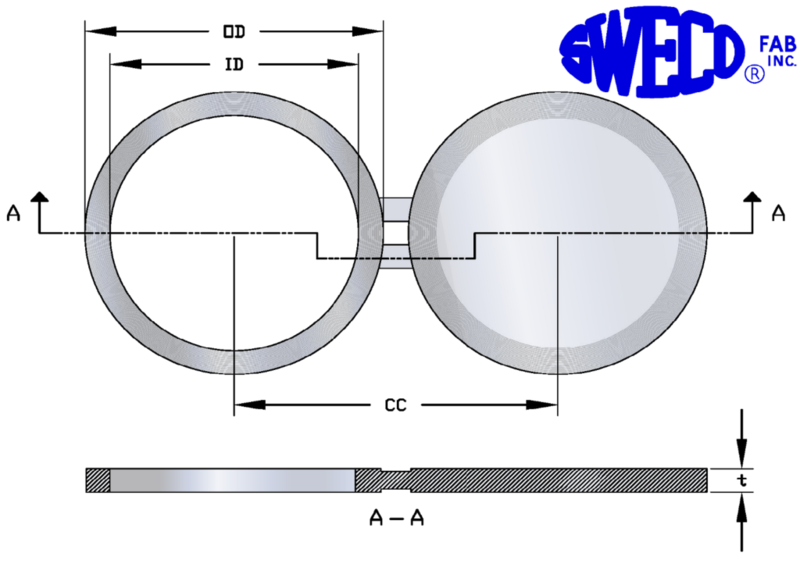 Ring spacers also fit “wafer style” but have a hole, or bore, to allow free flow of the material inside the pipe. 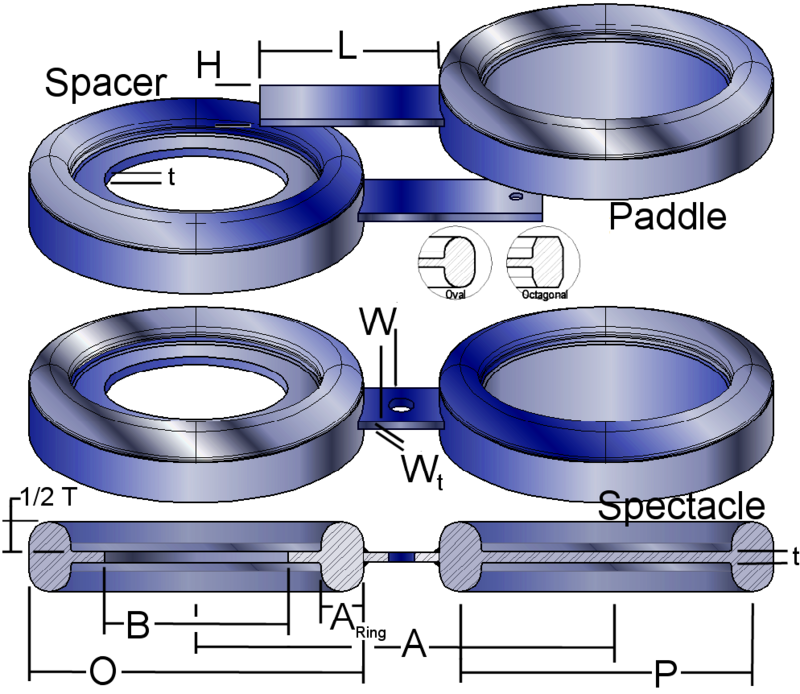 The ring spacer is simply there to maintain the gap between the flanges when the line blank is not present. There are three places in 29 CFR where line blinds are specifically noted as a safety device. Most spectacle blinds provided by SWECO® are defined by ASME Standard B16.48. B16.48 replaces API Standard 590* which is now obsolete. Additionally, line blinds are defined under other standards such as ASME B31.1, ASME B31.3, and Section VIII, Div 1, UG-34. Thickness, outside diameter and bore diameter of B16.48 line blinds exactly match the pressure ratings and sizes of ASME B16.5 flanges which cover the Nominal Pipe Size (NPS) range from 1/2 inch through 24 inch. The pressure ratings are all defined and the line blinds are defined in raised face as well as both male and female RTJ configurations. 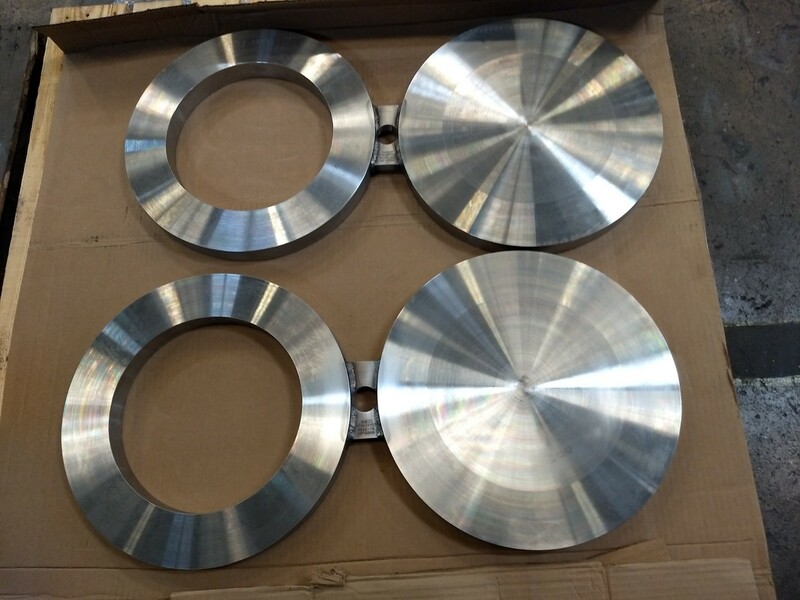 Quantity, Figure Number, Size and Flange rating, Facing finish, Design Pressure, and temperature, or thickness, Delivery required. where d = inside diameter of gasket, P = design pressure, SE = allowable stress. Our blanks are designed to withstand any pressure-temperature combination listed in the ASA B16.5 flange design specifications. All ring joint dimensions and tolerances are in accordance with ASA B16.5 and B16.20. Octagonal rings are furnished unless oval rings are specified on male ring joint blanks. All blanks may be ordered with an eye-bolt welded to one end of the spectacle blind for support during installation. Please contact our engineering department for custom design blanks. Our computerized stress analysis programs are always ready to meet our client needs. 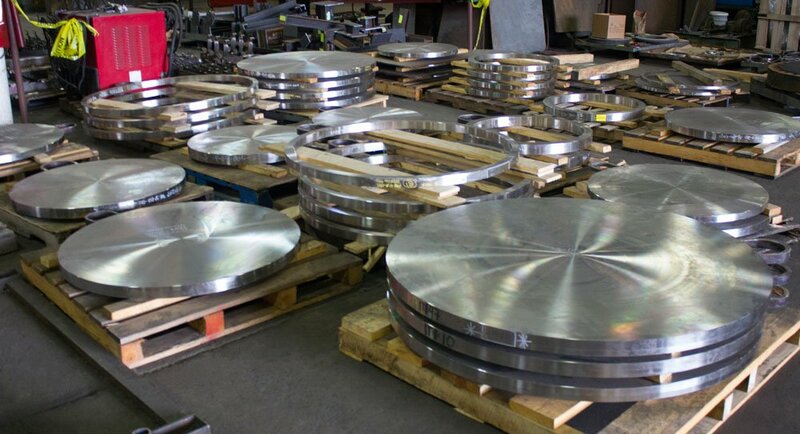 Normally A 285 Gr C plate is furnished for carbon steel up to and sometimes through 2″ thickness; A 515 Gr 70 plate, A 181 Class I or II forging, and A 105 Class I or II forging are normally furnished for high pressures or large line blinds. Other carbon steel, low-alloy steel, stainless steel, or practically any alloy can be furnished. Advise delivery required because sometimes plate can be used for a 2 to 4 week delivery. Forgings for say a 8 week delivery at a lower price than plate can be supplied, particularly on blinds 2″ and over in thickness. • On all alloy blinds, handles and tie bars are carbon steel unless specifically requested. NOTE: Thickness is calculated per B16.31, serrated finish is per B16.5 finish specification.